I am reminded this week of how fragile and vulnerable gardens can be. Some years ago I was privileged to see the Lost Gardens of Heligan, when they were only just being discovered and unwrapped from their covering of brambles and ivy - it was a magic place. 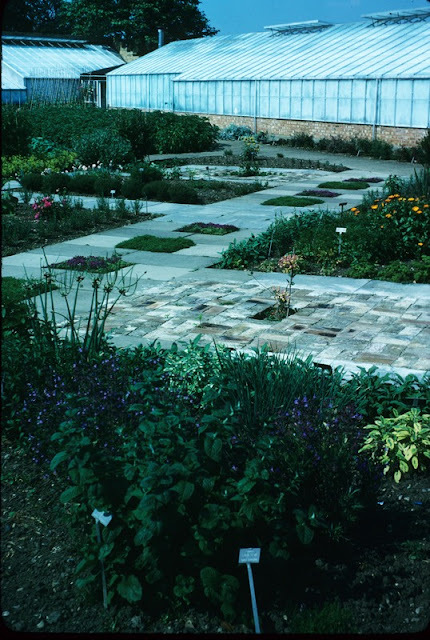 Exciting as such gardens are, I never expected a garden with which I had been intimately involved, to become derelict within my lifetime. 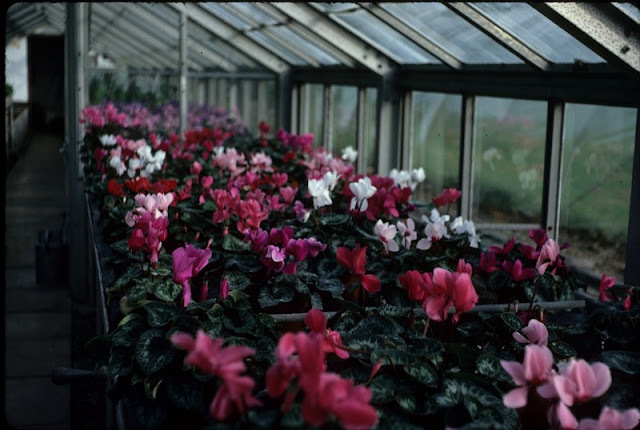 Apologies for the quality of the pictures in this post which are mainly old 35mm slides scanned to digital. Back in the 1970's I spent six years teaching horticulture at a place called Norwood Hall on the western outskirts of London. We trained the apprentices from many of the London boroughs plus those from Kew gardens and other local employers. I taught horticulture, botany, the dreaded soil science and turf culture but managed to avoid machinery. (Machines hate me!) 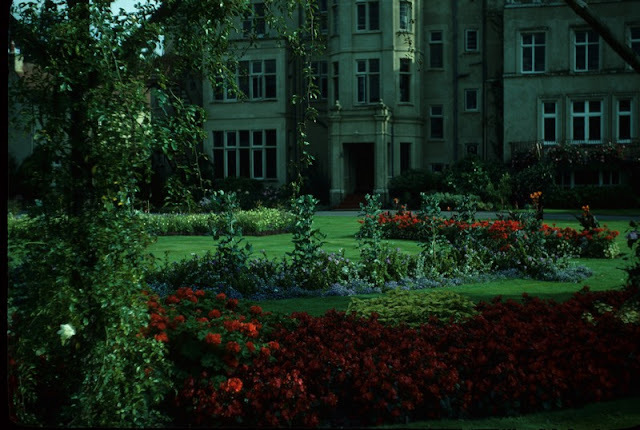 Not only did I teach there but lived in a flat on the second floor and had a vegetable plot at the bottom of the grounds. We shared the hall at weekends with the caretaker and the resident ghost - the grey lady! Norwood Hall had been built in 1801 to a design by the notable architect Sir John Soane but was extended in the 19C. The gardens from our kitchen window - to modern taste, very formal and dated! 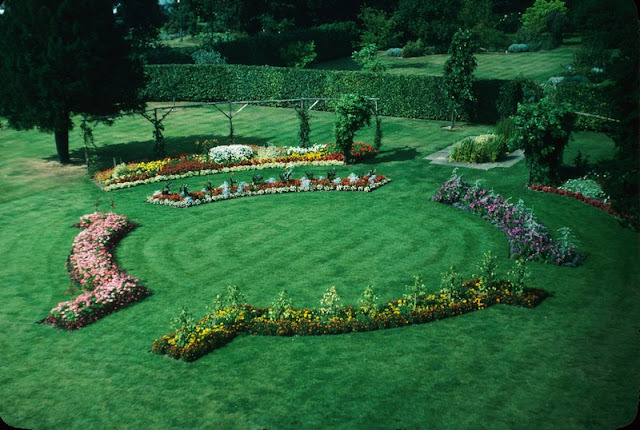 In my typical way I interfered with the grounds management and over six years initiated many changes to the landscape, generally to align with what we were teaching. Each year the students would also design and implement a series of projects, so that over the years most of the grounds had been re-designed. 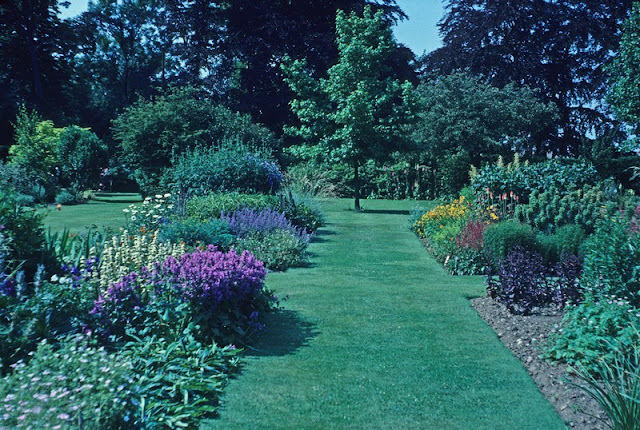 The landscape was fairly traditional; shrubs, roses, bedding, herbaceous borders, a couple of pools, a rock garden and many beautiful trees, although this was the era of Dutch elm disease and I remember us losing some major trees. 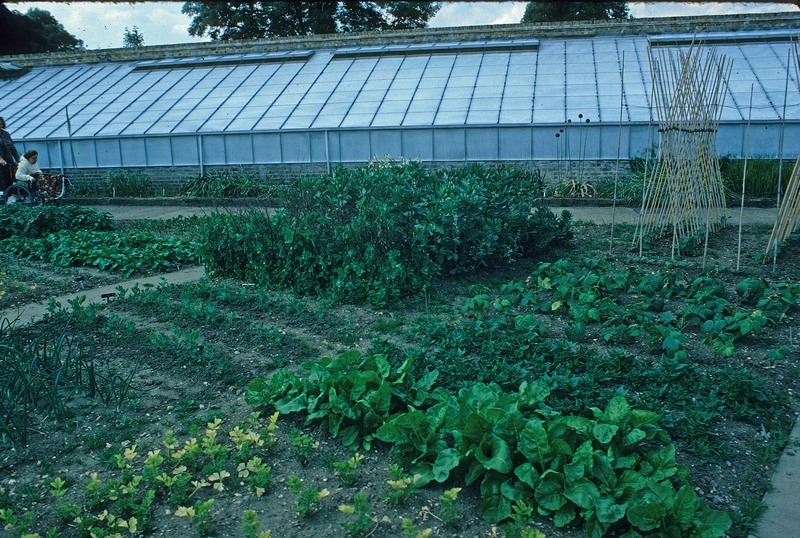 There was a formal walled garden with trained fruit, vegetables, herbs, an annual border and a range of lean-to greenhouses. Under glass we had an extensive range of ornamentals from cool house pot plants through to a tropical house with a heated pool. 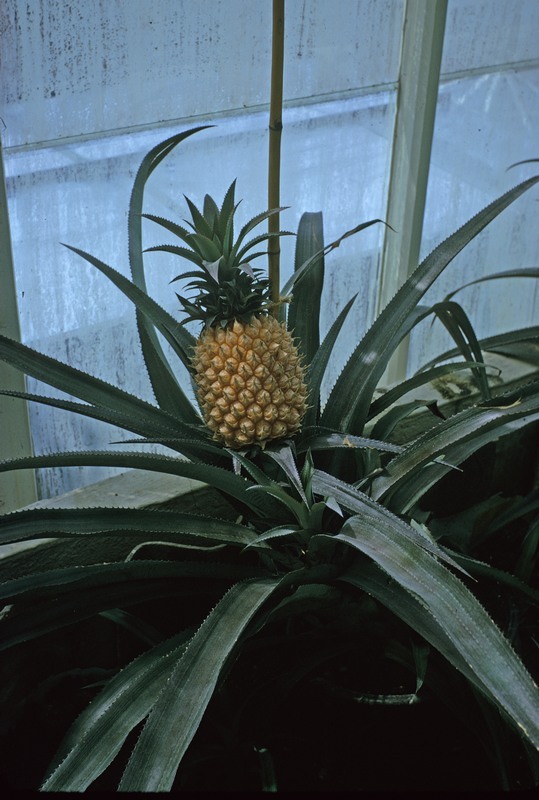 There were grape vines, trained peaches, a fern house, cactus house and a greenhouse filled with economic plants, such as sugar cane, bananas, pineapples, black pepper and rice. I once remember the garden press coming to photograph our fruiting banana. Annoyingly the fruit had been harvested the previous day and the mother plant cut down. Never wanting to miss a press opportunity, we retrieved the plant from the compost heap and tied the bananas on again! 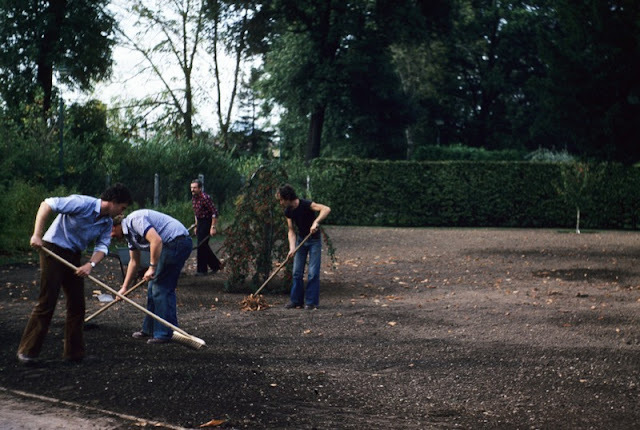 It was all managed by a small staff, a propagator with a green baize apron and a traditional Head Gardener, who used to work under a black umbrella on wet days. On Fridays in summer he presided over 'market day', when surplus fruit and veg were sold to the locals. He also had a twin brother, also a gardener which caused total confusion on open days and public events! So to the point of the story! For some reason earlier this week, I searched for Norwood Green on google maps to see what was still there - its amazing what you can see on the satellite pictures. To my horror, most of the garden has been ripped up, a massive new school is being constructed on part of the site and it would appear that the glasshouses in the walled garden have gone and been replaced with another building. Further searches produced another aerial picture on bing showing the grounds a few years back, totally derelict with trees coming out of the glasshouse roofs. Although this was never a major garden, it saddens me that the grounds of a grade 2 listed building, in a conservation area and filled with preserved trees, were allowed to decline and become derelict to the point of destruction. Satelite photo 2012 - its nearly all a building site! Bing picture a few years back, the walled garden to the right grassed over and trees of some sort growing. Teaching glasshouses to the left totally derelict with trees growing through their roofs. Quite heart wrenching to read something like this, a place that you have been associated with and have fond memories of become derelict, and even perhaps desecrated by the unsympathetic building works. 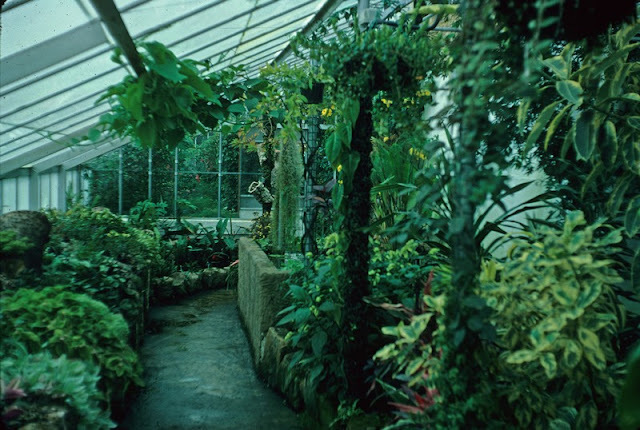 The olde photos looks so charming, with the tropical glasshouse and all, such a shame to see its fate. How sad. I suppose that nothing ever stays the same for long, but that really is a terrible shame. What a loss. At first part of my read, I was happy to see my favorite thing - a renovation, taking an old garden or space in disrepair to a new rezlization of glory. When I was a few years into my career, I only wanted to work on new spaces...23 years into my career, I see any age of space so worthy. Then, by the time I finished this read, I felt that terrible dispiriting of another loss. I have designs that I worked above my fees on (almost all), to ensure they were excellent, only to have the maintenance person wreck them, the client not care or respect me, etc. Just saw one last night. Transitory as things are, I can accept some of that, but not all of it, nor so soon. We in horticulture who care (a minority it seems?) have much PR to do, to show what we do and all it's benefits - tangible, monetary, and intangible. Seeing what you all did in the 1970's somehow gives me hope!